Transatlantic Afghanistan District Commander Col. Jason E. Kelly’s achievements as a leader in the U.S. Army Corps of Engineers coupled with his commitment to advancing career opportunities in Science, Technology, Engineering and Math (STEM) have earned him the 2019 Career Achievement Black Engineer of the Year Award (BEYA). The 2018 National Inventory of Dams (NID) is now available! All charts, queries and maps reflect the most current NID database. The NID was populated using the 116th Congressional District information. State and federal dam regulators provided their data from May to November 2018 for inclusion in the 2018 database. 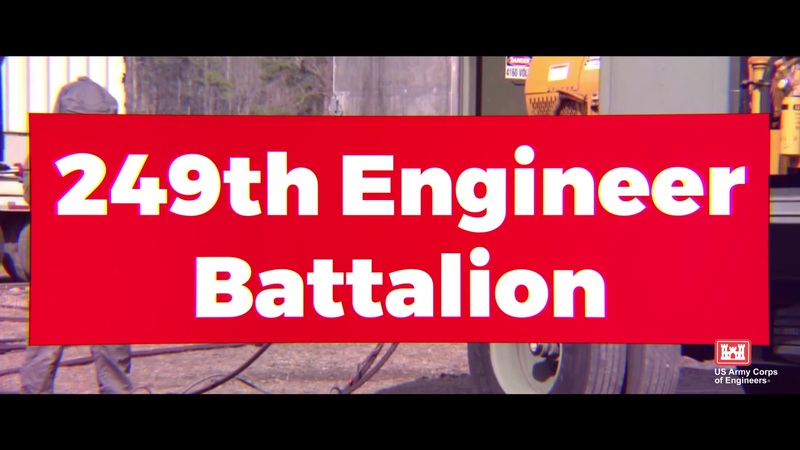 The 249th Engineer Battalion, also known as Prime Power, is a versatile power generation battalion assigned to the U.S. Army Corps of Engineers that is charged with the rapid provision of Army generators to support worldwide requirements. The soldiers and reservists assigned to this battalion complete a mission unlike anything found elsewhere in the Army by providing commercial-level power to military units and federal relief organizations. Wave tank experiment takes a look at burning oil on water with waves and or air injected into the burn.